Stylish, unique, custom canvas tote bags make great gifts. 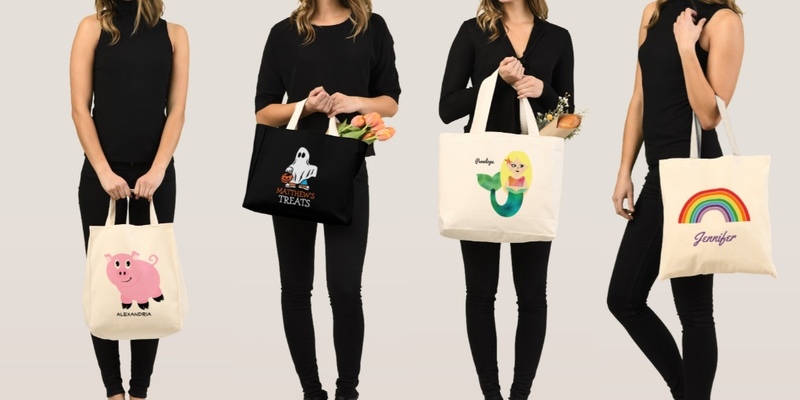 Totes are offered in five different styles and a few different colors and made of 100% cotton. All bags can be personalized with a monogram or customized with a first or last name. Choose from fun animals, sports, monsters, unicorns or specialty designs like big sister or teachers. Perfect reusable bag for Halloween trick or treating! Showing 1 - 139 of 139 products.